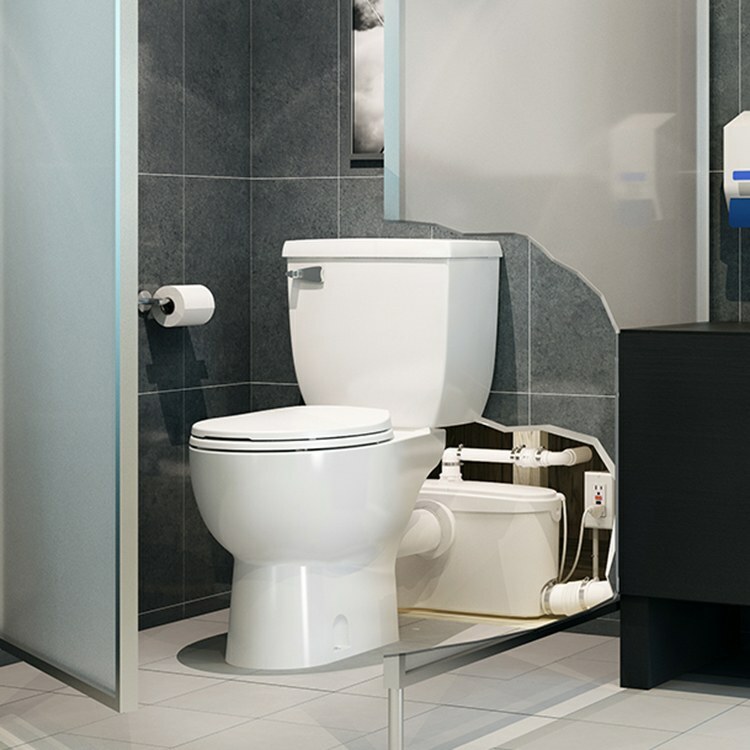 Using above-floor plumbing technology, the Saniflo upflush toilet system allows you to install a bathroom anywhere without the need for ground excavation. All you need is a power supply and water. 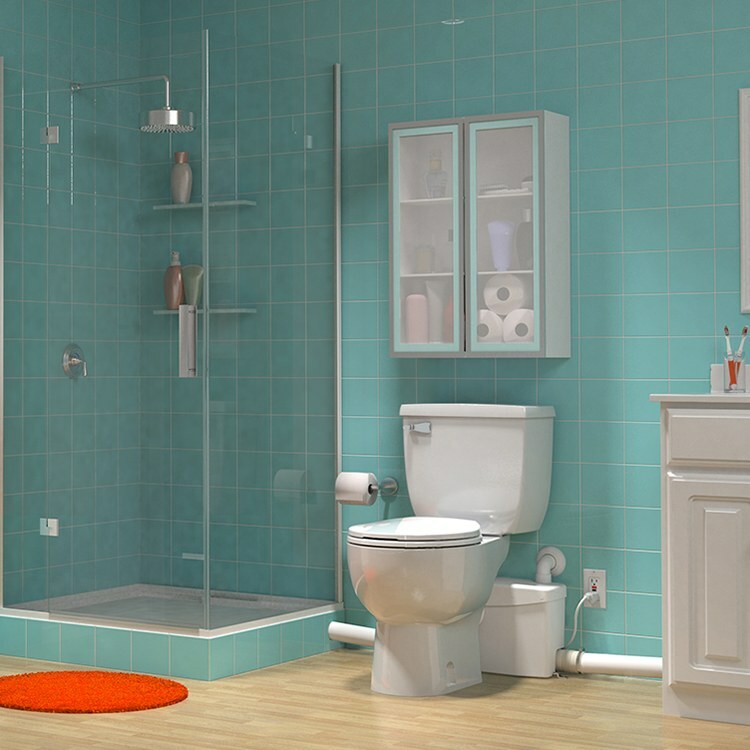 Saniflo systems are high-quality, low-cost, and easy to install. This white toilet tank is designed for use with the Sanitop, Saniplus and Sanibest macerator pumps and toilet bowl (003). Made of vitreous china with a white plastic lever flush handle. 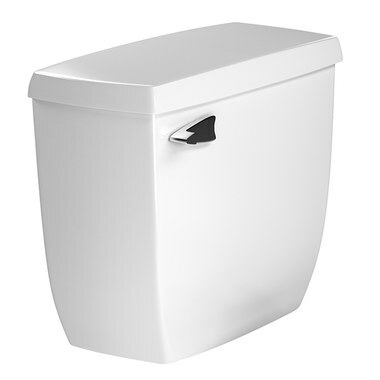 Measures 32" high x 26-1/2" depth overall when attached to the toilet bowl. 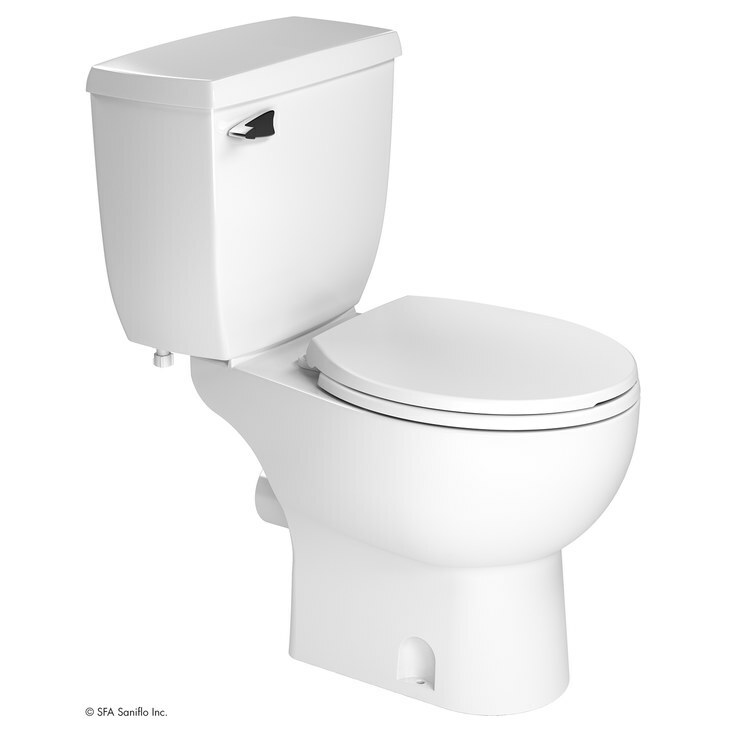 Pump and bowl components for the Saniflo system are required and sold separately. Includes installation hardware. With a heavy emphasis on research and development, Saniflo is among the top companies worldwide in producing easy to install bathroom fixtures. Their name is synonymous with quality and technical expertise consistently producing products that meet and exceed industry standards. Saniflo 05 has two bolt holes and 5-3/4” apart.